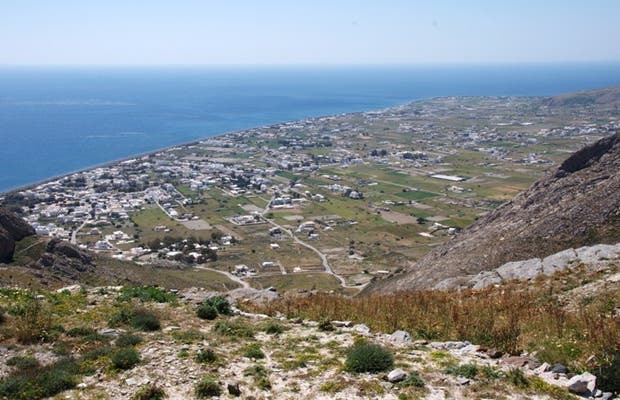 After climbing for about 5 kilometers along a dirt road we found the archaeological site of ancient Thira to be closed. Anyway the view from here made it worthwhile as you can see the villages of Kamari and Perissa. The operating hours are: Closed Monday, Tuesday-Sunday: 8:30 to 15:00 hrs Input: 2 euros (reduced: 1 euro).